The City of Milledgeville continues to be a Bronze level Bicycle Friendly Community as of 2017! We continue to work with our community partners to reach our goal of achieving Silver Level status. View our Bicycle Friendly Report Card here. 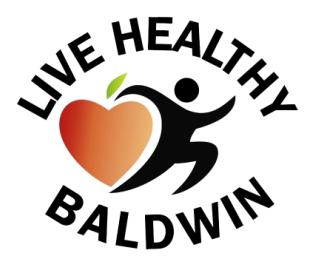 Bike Walk Baldwin, a Live Healthy Baldwin partner, is focused on making the community a better and safer place for more people to ride, walk, and run. The bike/pedestrian count project was was initiated in June of 2014. 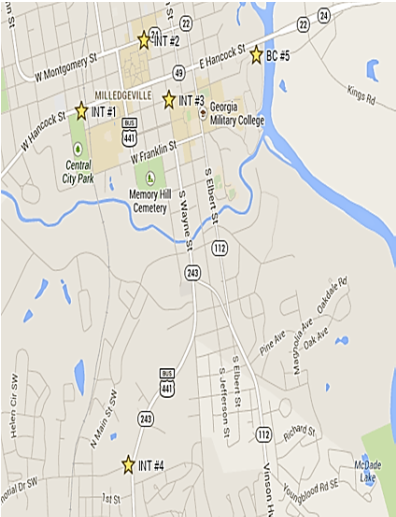 It was the first step to capture how many Milledgeville residents crossed intersections by walking or biking. It lets city leaders know just how in demand intersections are, and where improvements can be made. The following intersections were chosen to be observed specifically. INT# 1- S. Tattnall St./ W. Hancock St.
INT# 2- N. Wilkinson St./ W. Montgomery St.
INT# 3- S. Wayne St./ E. Greene St.
INT# 4- Irwinton Rd./ Allen Memorial Dr.